We are a licensed and fully insured local tree service serving customers in and around Mooresville. When you need a local tree service in the area around Mooresville, North Carolina, we want you to call us at Top Notch Tree Services. We have the years of experience and knowledge needed to safely work high above the ground. We also have special equipment, like a crane that allows us to work safely and efficiently. We work with residential and commercial clients and can come to remove a single tree or clear an entire lot. Storm damage cleanup and tree restoration: If you have trees that are damaged or diseased that you want to try to return to vitality, we can help. Sometimes, trees sustain damage in storms, and if you work to restore them, they can be saved. View clearing and lot clearing: If you had a great view when you moved into your home or business, it may not stay that way forever without help. If your view is obscured, we can strategically clear it. We can also work on clearing lots for new construction. 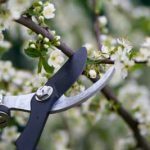 Tree pruning and trimming: Shrubs and trees can get overgrown and need trimming, especially if they are near utility lines or other hazards. When we limb a tree, it maintains the strength of the tree, unlike tree topping, which can cause the tree to die. Tree and stump removal: If you have a tree or trees that need to be cleared completely, we can make sure they come down safely. If you want us to get rid of the stump, we have a hands-free stump grinder that will quickly and safely take care of it. If you need any tree services in the area around Mooresville, we want to be your local tree service and are waiting for your call.